Denise is an experienced midwifery lecturer and an internationally-renowned authority on maternity complementary medicine, having specialised in the subject for almost 30 years. Denise founded Expectancy in 2004 and was the 2010 winner of the Outstanding Contribution category in the Complementary and Alternative Medicine (CAM) awards for Expectancy’s unique provision of educational and clinical services on maternity-related complementary therapies. Denise is passionate about ensuring that consumers and professionals appreciate the safety, as well as the benefits, of using complementary therapies and natural remedies in pregnancy and childbirth. She is actively campaigning for the subject to be included as a compulsory element in midwifery education so that midwives of the future are able to advise women appropriately. Previously, as a Principal Lecturer at the University of Greenwich, London, Denise developed one of the UK’s first practice-based degree programmes on complementary medicine; she continues teaching at various UK universities as a Visiting Lecturer. Her research activities have included an exploration of complementary therapies for nausea and vomiting in pregnancy; a study investigating the potential of reflexology to predict stages of the menstrual cycle; and a Department of Health-funded project investigating continuing professional development amongst complementary medicine practitioners. She is currently working with one of the Kent maternity units on a research study of acupressure for natural induction in women with post-dates pregnancy. In her clinical practice, Denise combines several complementary therapies with normal maternity care, including reflex zone therapy (reflexology), aromatherapy, herbal, homeopathic and Bach flower remedies, moxibustion (for breech presentation), acupressure, nutrition and sexual counselling. She specialises in treating pregnant women with nausea and vomiting, and has treated over 6000 mothers with this debilitating condition. Her unique complementary therapies NHS antenatal clinic at Queen Mary’s Hospital in Sidcup, southeast London (1994-2004), developed as part of her university work, was highly commended in the 2001 Prince of Wales’ Awards for Healthcare in London and gained an international reputation as an example of complementary medicine integrated within conventional maternity care. 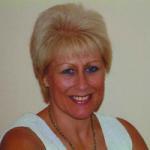 Denise has written ten professional textbooks, over 80 journal papers and three books for expectant mothers. She has edited the last four editions of the world-famous Bailliere’s Midwives’ Dictionary, and has contributed chapters on complementary medicine in several seminal midwifery, gynaecology and obstetric textbooks. She is a member of the Editorial Committee of the Complementary Therapies in Clinical Practice journal, is a regular source of expert comment for various journalists and has featured on several television and radio programmes. Denise is a frequent international conference speaker, has assisted in the implementation of complementary medicine in obstetrics and gynaecology in Hong Kong, and regularly teaches and assesses midwives and therapists in Japan, China and elsewhere overseas. Denise is consulted by the Royal Colleges of Midwives (RCM) on issues relating to complementary medicine in pregnancy, and has revised the RCM’s position paper and guidelines for midwives on complementary therapies. She has advised the Local Supervising Authority (LSA) midwifery officers in England on the development of supervisory guidelines for midwives, and is an advisor on maternity complementary medicine issues to the Federation of Antenatal Educators (FEDANT).